Botticcelli Magazine (the literary magazine at CCAD, where I teach) offered us little rolled-up pieces of poems in the hallway this past week. We were invited to take one to carry around with us. Here's what I received. It is indeed amazing how so few words can alter our experience of the day (I also loved seeing someone else's handwriting here...it implies a loving act of reading and generosity). What poem have you carried in your pocket? What words would you offer up in a basket? A few delightful and weird little videos for you today. The This Is Your Life Candle Co.
Labels: image credit: Peter Watkins (http://www.peterwatkins.co.uk), The This Is Your Life Candle Co.
What's on your shelf right now? 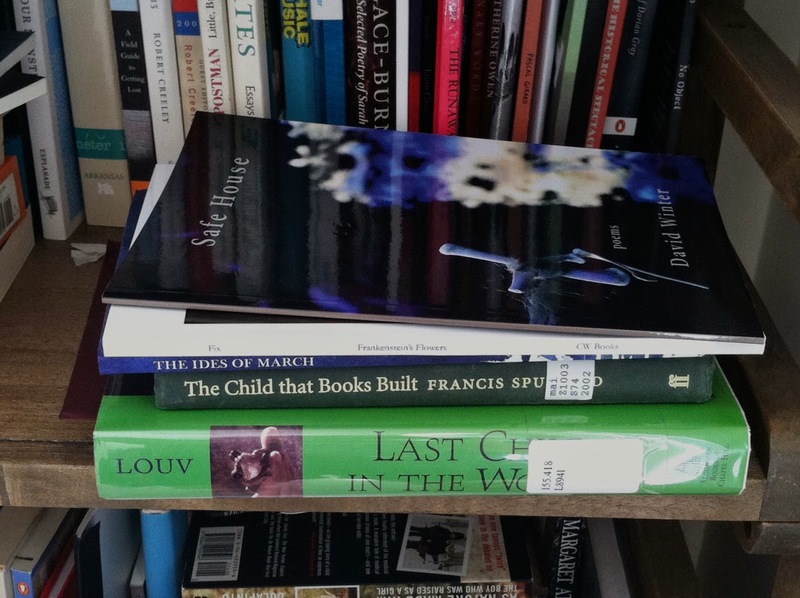 Many of my favorite poems do an interesting dance between funny and sad, cavalier and earnestly wounded. In Sympathy from the Devil, Kyle McCord has mastered this ha-ha/ouch, swing-yer-partner-round-and-round sound. One moment, he’s talking about the Quikstop and werewolves; just a moment (well, a page) before, he drops this bombshell of a line: “Did you know that the best translation of Adam is earthling?” Full of deviousness, mischief, joy, and honesty, McCord’s poems will make themselves at home in your memory. Note: After the interview below, read “Lycanthropy and You” and “I’m Concerned You Will be Reincarnated as Office Supplies,” both of which appear with permission from the author. Order your copy of Sympathy from the Devil here. 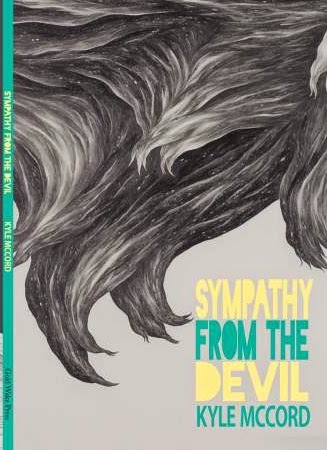 Q: Sympathy from the Devil is well-stocked with names of places, people/characters, and brands: Hello Kitty, Perseus, Nancy Drew, Sydney, Arkansas, Jenny Holden, Pikachu, Old Man Wilson, Robert, Sarah, even Kyle McCord. What is the power of names, for you (in poetry, or outside of poetry)? What is the magic of the inside joke that the reader can’t know? A: I was about to start this by mentioning how Nick Courtright and I were just chatting about this the other day. I immediately realized that I would be falling into the exact phenomena you're describing! I revised much of this book while I was studying Hebrew and Ancient Greek at Bethany Theological Seminary. In the Bible, names are powerful. They invoke, provoke, and even kill (as in the case of God's name, which one can't even pronounce safely). And while no one can will be smote for uttering the name of Hello Kitty, I'd been thinking about names, and I wanted to harness that power that names have to capture and to characterize.